(NaturalNews) In order to achieve true food independence, growing a variety of in-season fruits and vegetables throughout the year is essential, as is cultivating certain supplemental plants that provide a steady stream of nutrients for these and other crops in your garden as part of an ongoing cycle. And one of the most versatile plants for accomplishing this goal, according to one popular permaculture resource, is pigeon peas, which are capable of performing a variety of useful and unexpected functions in almost any home gardening setup. Also known as Cajanus cajun, pigeon peas can be grown in almost any climate, which makes them practical for virtually any home gardener or homesteader. They are also a hardy, perennial pulse crop, lasting nearly five years and growing up to 12 feet in height. 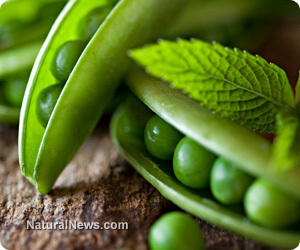 The peas themselves are both edible and high in protein, which makes them a great food source, and the plant's roots are known to capture atmospheric nitrogen and fix it in soils, which means they are an excellent fertilizer for other nearby plants. Though not very widely known in the U.S., pigeon peas also make excellent mulch, as their prunings can be spread to encourage growth. Pigeon peas also have a very deep tap root capable of breaking through hard soils and improving soil structure. In almost every aspect, pigeon peas are an amazing, self-sustaining food and general use crop that can make home gardening more sustainable and add to your family's long-term food security. "Pigeon peas will grow just about anywhere," explains TropicalPermaculture.com. "Plants can start flowering in as little as two months, and you could theoretically harvest the first seeds after three to four months. However, depending on the variety and the planting time it can take a lot longer, up to eight months." One particular use of pigeon peas that may come as a surprise involves planting them around young fruit trees as a type of protector and sustainer. As long as you keep them trimmed so they do not grow larger than the fruit trees themselves, pigeon peas can provide both shelter and mulch, enriching the soils in which they are planted so nearby fruit trees will be healthier and produce more fruit. Pigeon peas also help prevent growing soils from becoming depleted of necessary nutrients. Since pruning only makes them stronger, pigeon peas can be trimmed and resized at any time. For those plants that are intended for use as food, you can grow them larger and easily collect their pods, which grow in convenient clusters. For those plants that are intended as supplemental crops or mulch, trimming them small will only help generate additional beneficial compost, which can be reused to plant more pigeon peas or other food crops. "I intercrop pigeon peas with maize (corn) because it does not require a lot of labor," explained Jennifer Chilundu, a subsistence farmer from Malawi during a recent interview with Farm Radio Weekly. Pigeon peas are widely used throughout Africa by indigenous people groups for self-sustenance. "For the two crops I cultivate once and when [the] pigeon peas grow, it suppresses weeds in my garden."